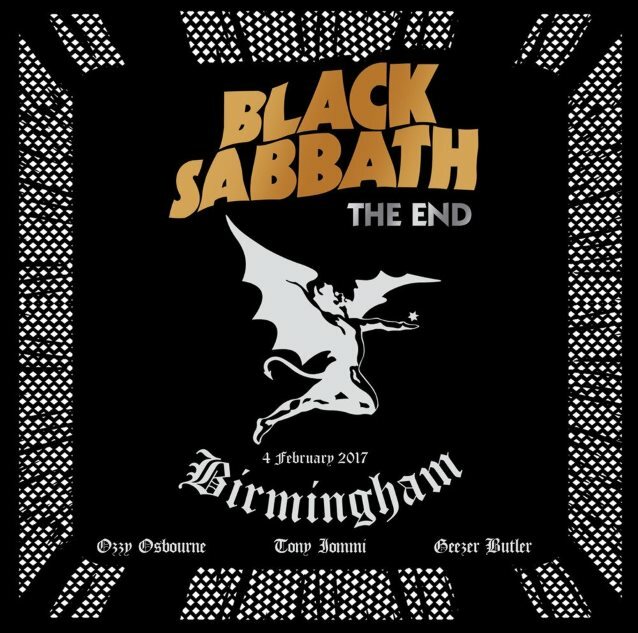 "The End" is a celebration of BLACK SABBATH's final hometown concert at Birmingham's Genting Arena on February 4, 2017. This unforgettable farewell show from one of the biggest bands in the world will be released by Eagle Vision on November 17, 2017. With a hit-packed set list including "Iron Man", "Paranoid", "War Pigs" and many more, the high production values, visual effects, and pyrotechnics wowed fans, as the band delivered the most emotionally charged show in their history. "The End" captures a once-in-a-career performance, an essential snapshot of musical history, and a fitting farewell to true innovators and original heavy metal icons, BLACK SABBATH. 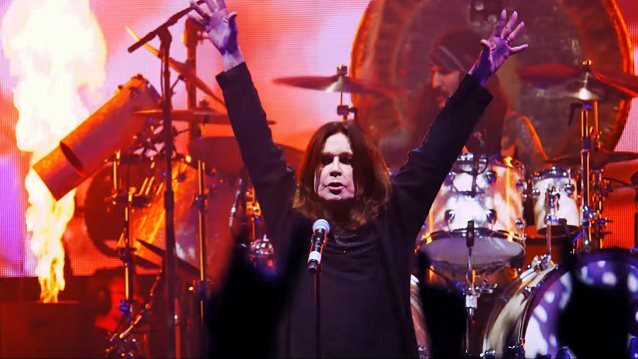 Ozzy told The Pulse Of Radio not long ago that he's glad that SABBATH has come full circle. "BLACK SABBATH has been through the mill over the years, but to come back and be friends with my buddies who I started off with all those years ago, it's a closure for me, a chapter of my life which I can say, 'Well, we came, we saw, we had a good time and now it's over,'" he said. "I'm glad we ended up happy. Whatever axes we had to grind between us over the years, we got rid of all that and we're friends again." 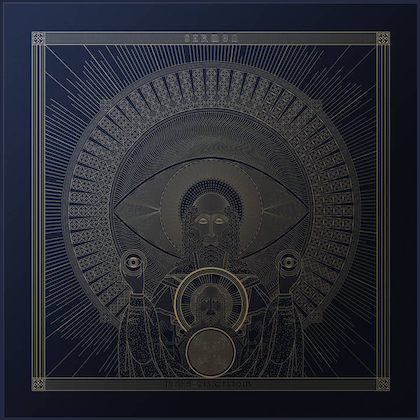 Guitarist Tony Iommi said that he wouldn't rule out the possibility of doing one-off shows or even more recording, saying, "I wouldn't write that off, if one day that came about. That's possible. Or even doing an album, 'cause then, again, you're in one place." The original lineup of SABBATH came together in 1969 with Osbourne, Iommi, Geezer Butler on bass and Bill Ward on drums. That lineup recorded and toured through 1978, and periodically reformed through the '90s and 2000s for live work. 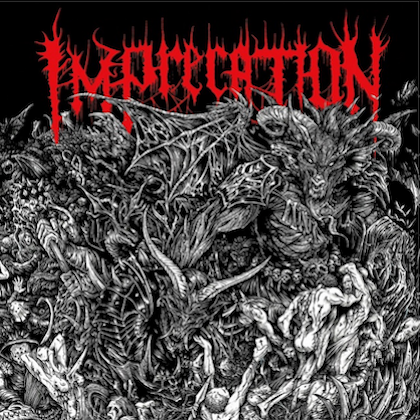 They regrouped again in late 2011 for a new album and tour, although Ward dropped out after a few months over financial issues. SABBATH has used Ozzy's regular touring drummer Tommy Clufetos since then for live work. RAGE AGAINST THE MACHINE's Brad Wilk laid down the drum tracks on the album "13", which came out in June 2013. Iommi and Butler haven't announced any specific post-SABBATH plans yet, but Osbourne is reportedly at work on a new album, and already played a few solo shows this summer.